If there was one industry that was in desperate need of a huge shakeup, it was the mattress industry. 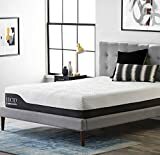 Mattress companies have been overcharging consumers for decades, but now a huge wave of online memory foam mattress brands has swept over the market, offering surprisingly comfortable and supportive mattresses for a small fraction of the price of a traditional innerspring mattress. 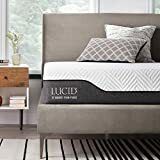 One of the most affordable new brands out there is Lucid, and it’s already-reasonably priced mattresses are on sale at deep discounts on Amazon for one day only. How deep are the discounts, you ask? 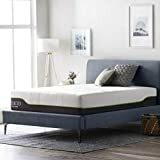 Queen mattresses start at just $264! 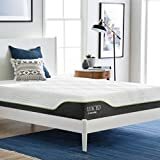 There are four different mattress models that have been discounted in Amazon’s one-day Lucid sale, and every single size of each mattress has been discounted, from twin to King. 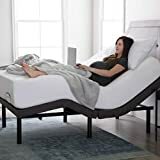 You can also save up to $105 on Lucid’s Motorized Adjustable Bed Base, which is currently available in two different sizes at a fraction of what you’d pay for similar adjustable beds from other brands. Shop the full sale right here, or check out each of the discounted products below.